In 1998, Mark Christopher's 54 was released. 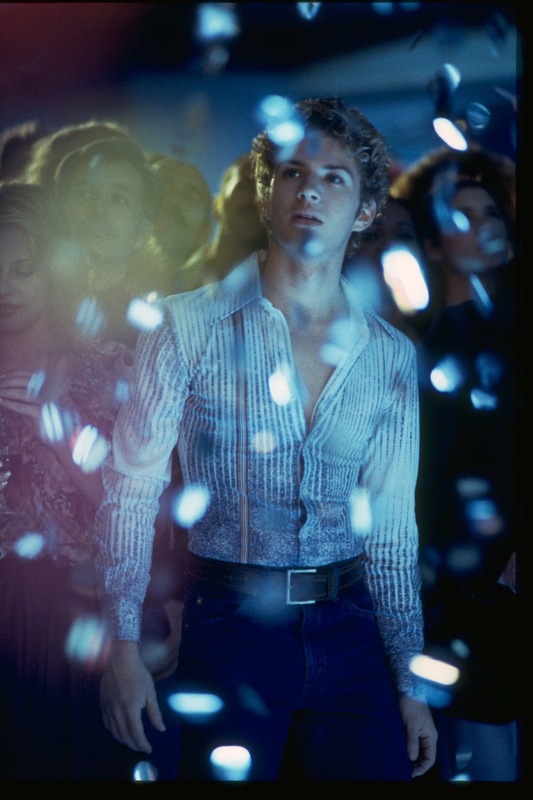 Set in and around the famed Studio 54 nightclub of the 70s, the film promised to be an edgy, evocative and intoxicating drama, centering around a love triangle between two men (Ryan Phillippe, Breckin Meyer) and a woman (Salma Hayek), as the club experiences its mighty rise and fall. Expected to be a breakout hit for Miramax, Mark's cut of the film was re-edited, and footage was reshot at the behest of the studio. Unfortunately the film failed to find critical and commercial success, although it did become somewhat of a cult film. In 2015, Christopher finally managed to secure the release of the Director's Cut, which proved to be a revelation, with the film fully living up to its original promise. I spoke to Mark about the journey to the release of this new version of the film. When did you first become interested in Studio 54? Growing up as a kid, I had heard of it, like everybody else, and it sparked my interest. Then when I was in graduate school I wanted to do my version of a disco AMERICAN GRAFFITI (1973). Paul Schrader was one of my teachers at film school and he suggested I set the story in Studio 54. What was it that fascinated you about the club? I loved this idea of worlds on the edge of collapse; these decadent, circus-like places at the end of the Weimar Republic, for example. That's what Studio 54 in the late 70s seemed like to me. I also loved the music. What made you feel it would make a strong film? That time was filled with drama, and it really was an incredible celebration of freedom in so many ways. It was important for me not to judge it but to just show it, because we all knew what followed. Do you think the revival of interest in disco music in the 90s helped get 54 greenlit? Yes, for sure. I made a short called The Dead Boys Club in 1992, and at the time I was cutting it, disco was still on the outs. I used the music in the short in a haunting and very unique way and the film really took off at the gay film festivals. Suddenly disco was in all the gay clubs and it was cool again. That was when the revival started, and of course the revival has lasted far longer than the original era. Why do you think the revival happened? After the depression of AIDS in the late 80s to early 90s, at least here in New York, gay people wanted to get out and start having fun again. Disco music became part of that. How much research did you do on the era of 54? Quite a bit, and this was pre-Youtube and pre-Google. I researched through reading a lot of magazines, but mostly I interviewed people from the era – not just people who were famous and who knew famous people, but also people who had worked there. That was a process of a couple of years. Was Miramax on board with the edgy content from the beginning? Well certainly everybody knew what the world of 54 was, so it didn't seem to be an issue. 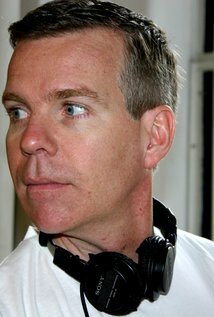 How much were THE LAST DAYS OF DISCO (1998) and BOOGIE NIGHTS (1997), which were both being developed at the same time, on your mind when you were developing 54? THE LAST DAYS OF DISCO really wasn't on my radar, although I did run into Whit Stillman at a party when our films were both in post-production. I was aware of BOOGIE NIGHTS but I intentionally didn't read the script. Then I saw the film at the Toronto Film Festival while we were shooting, and there were a few things that were very similar to our film so I quickly went in and changed some things. It was just details like the lead character had the same red Corvette as in 54, so I changed the car. How long did the casting process take? Who came up with the idea of casting Mike Myers as Steve Rubell? It took a year. It was a very healthy back and forth between Miramax and myself. I am very happy with the cast. Mike came up with the idea of him doing the film. The script was going around town and it was getting some attention. His manager called Miramax and I thought ''Great!' We had a nice meeting and that was that. How did you come to cast Mark Ruffalo in one of his earliest roles? I had seen him in a play in an off-Broadway theater on 42nd Street and he was absolutely marvelous. He's a funny, unique guy. I actually auditioned him for the Breckin Meyer role, but I ended up offering him the role of Shane's best friend instead. How did you decide on the look of the club in the film? How important was it for you to try and be faithful? What was great about Studio 54 was that it was really well documented in photographs, so for instance, we knew what the club looked like and what the incredible pillars of light that descended from the ceiling were like. I found a 16mm film shot at the club by an NYU student who at that time lived in Florida. He sent me the film and it was amazing. It was some of the only film that had been shot in the club. There had been little videos shot of Michael Jackson and Diana Ross and stuff like that, but I loved the look of his film and that to me was how I experienced nightclubs - they were very dark with flashes of light and high contrast. One of the thrills of making the Director's Cut wasn't just to put the story back but also to put the look of the film back. The DP and I had worked very hard to get that very dark, contrasty look and when the film was initially released back in 1998, a lot of light was pumped into the film prints, and into the video and DVD releases. It didn't really look like the film we made. What other films were you thinking about when you were prepping the movie? CABARET (1972), especially. It has that same story of a world on the edge of collapse, a bi-sexual love triangle between two men and a woman, and the Kit Kat Club being so important to the story. It is a film I love. I would screen the film a lot for the crew to look at. The irony is that Studio 54 became a theater for performance as well. Cabaret, the musical, moved in and stayed for ten or fifteen years! How autobiographical would you say the movie is? I came to New York right after 54 closed so I didn't really have that experience of the 70s. But that yearning for experience was a big influence. What is your favorite memory of the shoot? It was really a fun shoot. We had a blast. I really enjoyed dancing after we finished shooting every Friday. We would turn the set into a nightclub and turn on all the lights, and break out the beer from the fake coolers. I would try to set the tone of each scene by playing the right songs. The sound guy and I worked out a playlist before the beginning of a scene. It was really fun to get people in the mood. You'd look up and see a grip dancing on the scaffold, for example! How long did it take to arrive at the song choices for the soundtrack? That took a long time. It was important to do a soundtrack that wasn't going to be just overplayed disco songs like I Will Survive. We really wanted to discover songs that were familiar but that we didn't know so well. They also had to fit each scene perfectly and propel the story forward. The song would usually have something to do with the character's state of mind. Finding the songs was hard, and of course sometimes you'd find the perfect song and you wouldn't be able to get the rights. Coati Mundi and Susan Jacobs were my music supervisors, and they did a great job. What were your biggest challenges shooting the movie? It was a really large cast. We had 400 extras at times. The scale of the movie for a first time director was a big undertaking, but I really loved it. How do you think you grew as a filmmaker on 54? Incredibly. I had never done a feature before, and suddenly I was working with movie stars and accomplished actors and crew members. Doing a longer form piece is a whole different thing from doing short films. I grew a ton, and fast. Did you surprise yourself at how easy the transition was for you? I did actually. I was really well prepared and it was very scary but the first day went well and after that we were off and running. How different is the Director's Cut to the Theatrical Cut? 33 minutes of the reshoot footage has been taken back out, and 44 minutes of unreleased footage has been put back in. So it's like 40% different from the theatrical cut. It really is a different movie. Has the long time between shooting the film and preparing the Director's Cut made you look differently at the material? In certain ways, yes. I am able to cut more and I am less precious about stuff. One of the hard things about making a film is that you are so close to it and then you have to finish editing it right away without any perspective. Having 17 years of perspective really helps you see what can stay and what can go. In a weird way, the director's cut had gotten better with age. It was a little too close to the 70s when I made it, and now with more distance it seemed to resonate more in a way. That was a good surprise. I really appreciate that there are fans of the studio cut, otherwise I wouldn't be in this position, but I think that cut has too many story issues. This is the film that my actors and I signed up to do. How much of a task was assembling the new cut? It was huge. There were three of us working on it – me, the post-production supervisor Nancy Valle, and my editor on the Director's Cut, David Kittredge. It was incredibly difficult. First of all we had to find the original VHS dailies, which after a number of years is hard for any studio to find. Nancy found the footage just as it was about to be thrown out, and saved the day. There had been a bootleg director's cut that I had put together a few years ago, which had been cobbled together from different sources, so there was never a director's cut with ADL. We couldn't just feed in the material, hit a button, and spit out a director's cut. The dailies had to be eye-matched to all the shots in the bootleg, then the negative had to be found. We weren't able to find all the negatives. The negative had to be transferred and then eye-matched again. It was so time consuming. Was there ever a time where you considered giving up on the Director's Cut coming out? Probably right before Miramax said yes! Jonathan King, my producer and I would pester Miramax every year or so and finally they said yes. Amanda Vinewood is the new Creative Head at Miramax and she really stood up for it, and really made it happen. How has the release of the Director's Cut impacted your life? It has certainly gotten me around the world, with all the festival screenings. We premiered at Berlin, which was wonderful because I have a history there with my short films. It's been a great six months of showing the movie to audiences in different countries and hearing their reactions. I think that knowing that this can happen is really a good feeling for young filmmakers. It inspires them to not give up on their vision. Do you think test audiences would have reacted more strongly to the Director's Cut if you were releasing the film for the very first time now? Because of television, audiences are now much more into anti-heroes and are much more open about sexuality. I guess it would test better because we live in more liberal times, but it's hard to know. It would probably depend where you tested it as well. Has working on the new cut made you want to revisit the era again? Yes, I love the era, and I am working with Miramax on a TV project set during that period. It's been a lot of fun going back.